Hudson Beach Florida is a small, laid-back town that most tourists pass by without a glance but it is their loss. This beach is peaceful, relaxing and offers a nice family getaway under the sun. 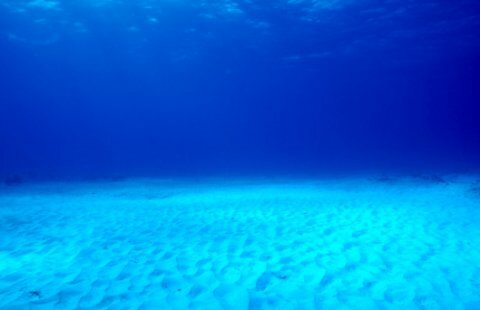 Here is an ocean floor as seen at great depths. Take a scuba lesson and see the ocean floor as well as all the beautiful creatures that swim around you while you are examining their habitat). If you are not a diver, not to worry, you and the other tourists who are lucky enough to find this gem will delight in this quiet retreat and hopefully will appreciate the escape from the overcrowded beaches in the area. Hudson Beach Florida can boast something few other beach-towns can claim. They have an artificial canal with 25 miles of inland waterways. When this artificial canal was created over 50 years ago, it was legal but not allowed anymore by environmental legislation. Therefore, Hudson Beach will remain the owner of one of the largest inland water canals in the US. Come and enjoy it! So, if you brought the boat, you can tool around to your heart's content. Otherwise, perhaps you can rent a boat or hire a boat owner to take you for a spin. Read on for air-boat possibilities. Bring the kids and let them create their own fun whether building sand castles or looking for treasures that the waves bring forth every few minutes. Skeleton Key Marina offers sailing classes for novices and a brush up for experienced sailors. Take an airboat ride to tour the beach and surrounding peaceful calm at Airboat rides. Take a scuba diving lesson and enjoy having the ocean floor all to yourself (except of course for the underwater creatures!) at Scuba West. Grab your fishing gear and enjoy some leisurely and plentiful fishing. Kids of most ages: Hudson Beach has the perfect kind of beach to take the kids tubing- it’s kind of like water skiing but attaching an inner tube to the back of your boat instead so the kids can enjoy a wild ride! Eating: There are a few great little eateries like the beachfront Sam’s Bar & Restaurant or Inn-on-the-Gulf Restaurant. Sleeping: Stay right on Hudson Beach at the Inn on the Gulf (yes, it’s the same one mentioned above) or if you want a really great budget hotel try one of nearby New Port Richey’s choices like the Comfort Inn. Here is a link to nearby New Port Richey Beach. If you are in the mood for a short day trip (about an hour away) head south and check out St Pete Beach.